The Molène archipelago is part of the Natural Marine Parc d’Iroise, a marine protected area hosting a rich biodiversity and biomass with the largest seaweed field in Europe, a wide range of benthic organism, endangered bird species and marine mammals, including bottlenose dolphins and seals. 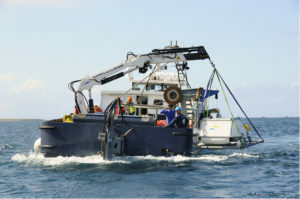 EMSO-Molène is a pilot for a new generation of multidisciplinary cabled and coastal observatories, based on reliable proven off the shelf technologies. The technologies were used in the design of the cable observatory EMSO-Ligure Nice. 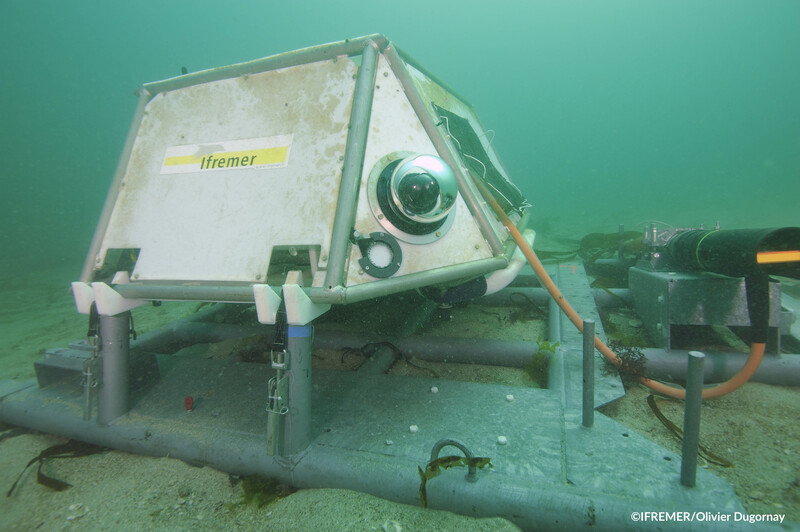 Molène is an EMSO testing site at depth 18 meters, dedicated to sensors and equipment in-situ and long-term qualification. 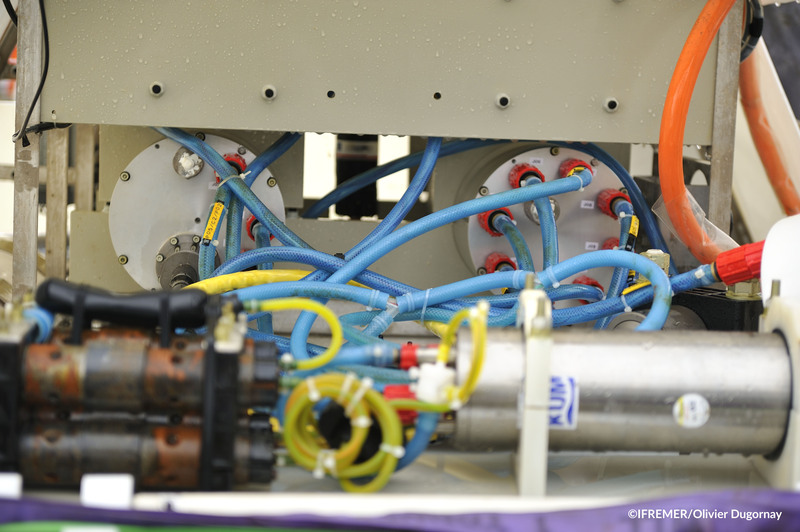 The instrumental module is a removable device that includes the electronic core of the observatory: the “Node” and the “Junction Box”. The Node inputs an optical signal and converts it into electrical. On the node output, the Junction Box relays instructions, collects data, protects the equipment in case of electrical malfunction and provides failure warnings. The test site operates all year long and sensors are swapped from twice to four times a year. Technical staff and divers perform marine operations. Technical laboratories are available on shore to test the equipment interfaces and drivers before deployment at sea. 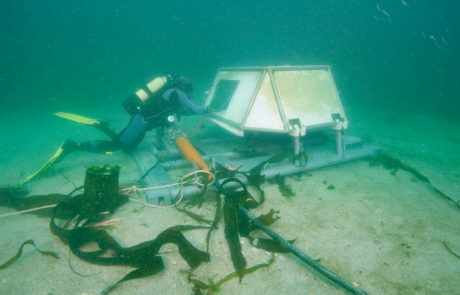 Marine sensor biofouling expertise and devices can be provided to the users. 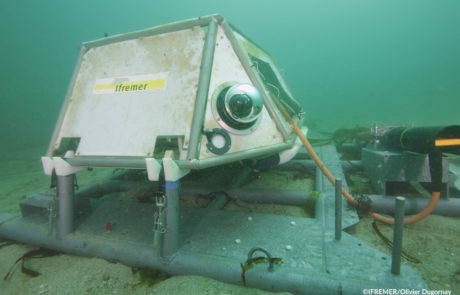 Technical assistance to adapt equipment to the platform and its deployment at sea will be provided by the Ifremer scientific and technical staff.